Build your own LEGO® BrickHeadz™ 41613 Mr. Incredible & Frozone from Disney•Pixar’s blockbuster Incredibles 2 movie, with this special double pack! Check out the crime-fighting duo’s super costumes and then display them on their baseplates for all your friends to see. - Pixar’s Mr. 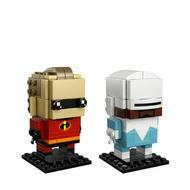 Incredible and Frozone have BrickHeadz eyes and iconic super hero costumes from the blockbuster Incredibles 2 movie. 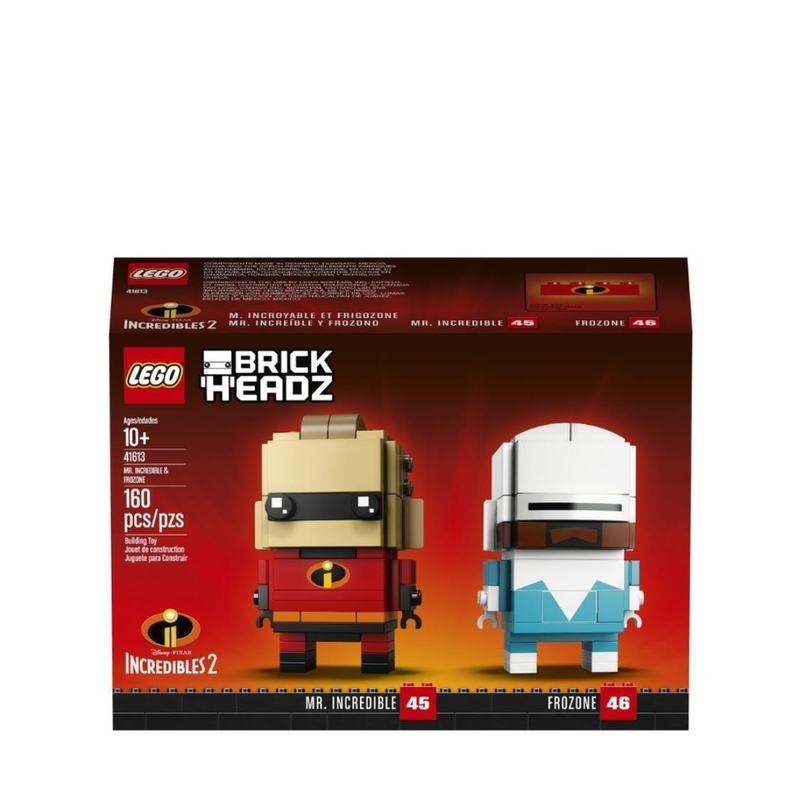 - Have fun growing your LEGO® BrickHeadz™ collection with other classic characters from your favorite movies, TV series, games and comics.